In the early 90’s I dabbled with the subject of Artificial Intelligence. At that time, Bletchley Park, the centre of British code-breaking, computing and home to the father of AI, Alan Turing, was in danger of being bulldozed for redevelopment, which would have been a national disgrace. 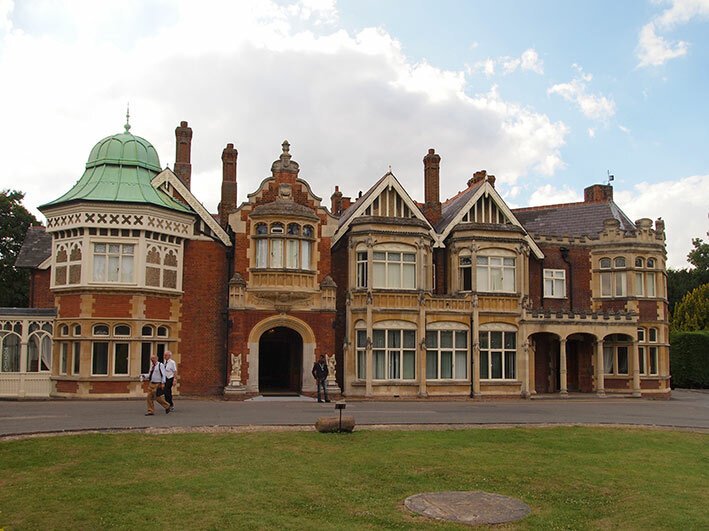 Although the park was declared a conservation site in 1992 with plans for a museum, it struggled for survival until significant funding in recent years has led to the creation of a superb heritage and education centre (click here). 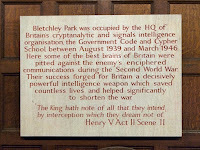 Having been out of the country for much of this time, Bletchley Park has always been top of my list of places to visit. Today, being a mere stone’s throw from Milton Keynes, I took the opportunity to visit Station X. With business over for the day at 4pm, the sat-nav determined that the drive would take forty minutes and the Park closed at 5pm. I was not going to have this chance for a few more years, so I gave it a shot. I arrived at the predicted time and ran to the ticket office to be reminded in a tone generally adopted by librarians in England that the museum was to close in twenty minutes. I winced slightly at the staggering entrance fee of £15.00 which, by the time I got into some of the exhibits, would cost me around £1 per minute. 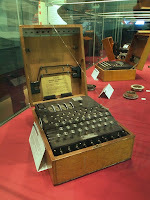 In Block B, I adopted the Singaporean style of photographing everything without taking notice of the vast amount of information on the collection of Enigma machines, the Bombe reconstruction project and the Turing Gallery. 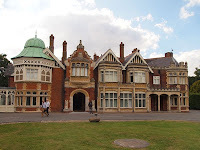 In the last few minutes, I ran over to photograph the Mansion (which looked smaller than I imagined) and then strolled back to the car past Hut 8 where Alan Turing was based. Despite the fleeing staff at exactly 5pm, I managed to whizz round the gift shop which included an electronic Enigma e-kit to build your own cipher machine. Perhaps my nerdiest idea for a Christmas present yet (with the wooden case please).